Notes: Ok officially I am stronger and leaner ( Thanks FB 😉 ). No I am not bragging just talking about the effects of consistently working out five times a week and trying to eat right. Trying to eat right is actually more harder for me then working out. Getting up early I can deal with, reps, heavier weights and being sore I can deal with. Staying away from food and stress is tough. Anyway I am still working out the food issues I have. I am starting with a FitnessBuilder’s Ultimate Core Workout 1 and 2. 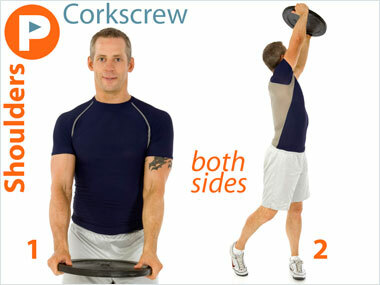 Exercise of the Day: Corkscrew shoulder exercise. 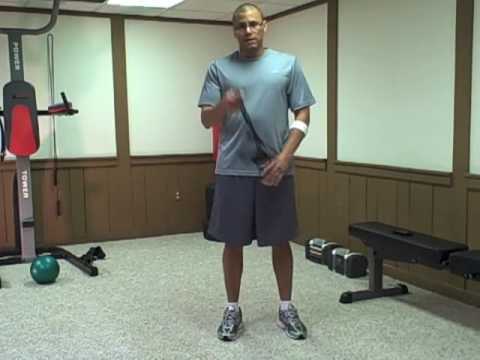 This exercise will hit all your little shoulder muscles and your obliques as well. You will learn respect the weight on this exercise, I started out with a 35lb plate thinking I could a little heavier. I realized that I need to build up to that, I started with a 25lb plate . 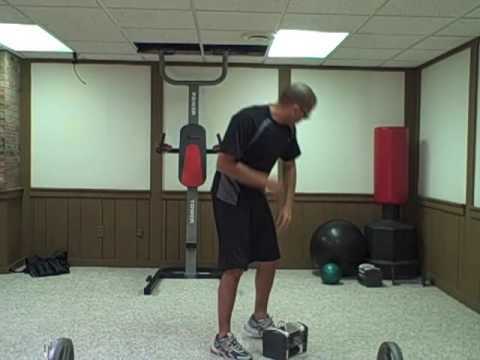 The motion on this exercise makes it harder to hold the weight if your not used to it. Try it and hit me up with your thoughts. Notes: Lets get big! I am going to push myself for the next three days and see what happens with a little bit more weight. I am favoriting routines that let me use more weight. Glad that FB can accommodate all of my work out moods. Today’s routine focused on the back, arms and stomach. Exercise of the Day: Reverse Crunch; ab exercise this exercise enables you to really focus on the lower part of your abs. It will give you a nice burn or I like to say melting calorie feeling. Notes: Second day of working out heavy. I am amazed even with more weight, I am still completing my reps. It’s definitely an ah ha moment. I am truly happy with the results. Looking into weight lifting shoes, not truly sold on the idea that I really need them. Check out this forum I found on the reason to get them. 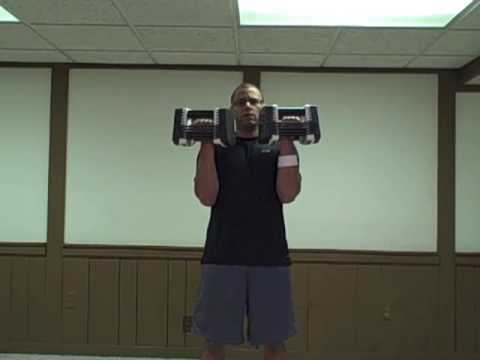 Exercise of the Day: Arnold Press shoulder exercise with a wide range of motion that hits the shoulder muscles from different angles while raising and lowering the dumbbells. 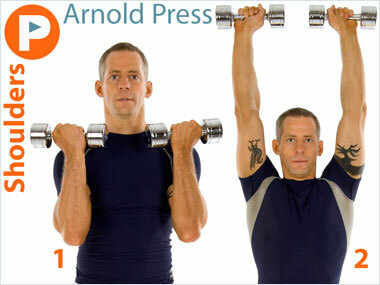 The Arnold press is a great way to change up your shoulder routine it is a must try exercise. Notes: Today’s routine was defiantly a muscle builder leaving me grunting through the last few reps, pushing myself. I think a lot about the future when I exercise how my kids will one-day use the equipment that I am using now. And will be right there besides them pushing iron and sweating it out. Next week FitnessBuilder 5×5. Exercise of the Day: Uni Push Press a shoulder exercise that helps you get a little bit more power into the motion with the help of your legs. FitnessBuilder allows you to mark exercises so that later on you can build your on routines. I marked the Uni Push Press as one of my favorites, I am going to build a shoulder blaster routine to share later. 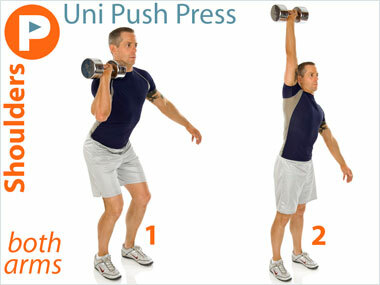 Give the Uni Push Press a try. Summary: Boxing Strength & Endurance. These routines will help prepare your body for battle. It is one my favorite FB workouts it is versatile and challenging. Share your thoughts with me if you have done it yourself. Notes: Second day of Tubing. Tubing comes in different types of resistance, they are usually color coded to represent different levels. Resistance can vary with the size of the band, shortening the band increases the resistance. 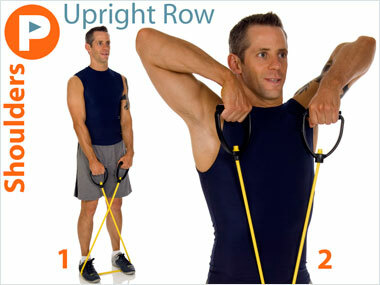 Exercise of the Day: Upright Row. Shoulder exercise. I am impressed with the workout that I am getting with minimal equipment.